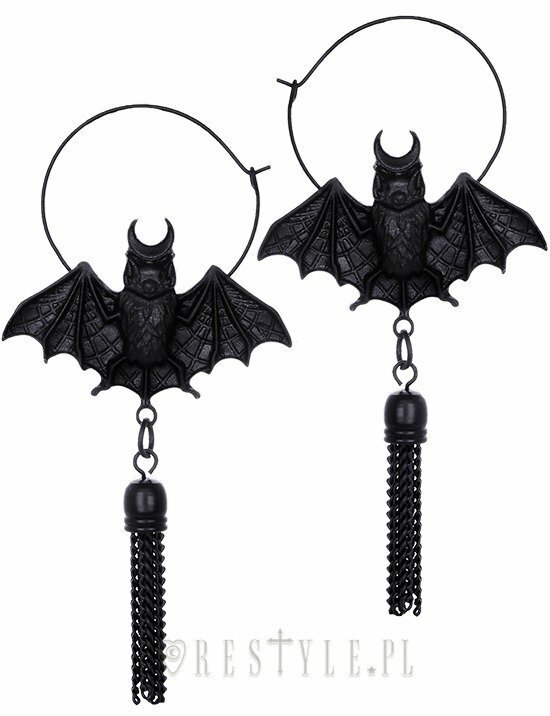 Black gothic hoop earrings, occult jewellery "ORIENTAL BAT BLACK"
Earrings presents oriental bats placed on the hoop with tessel. 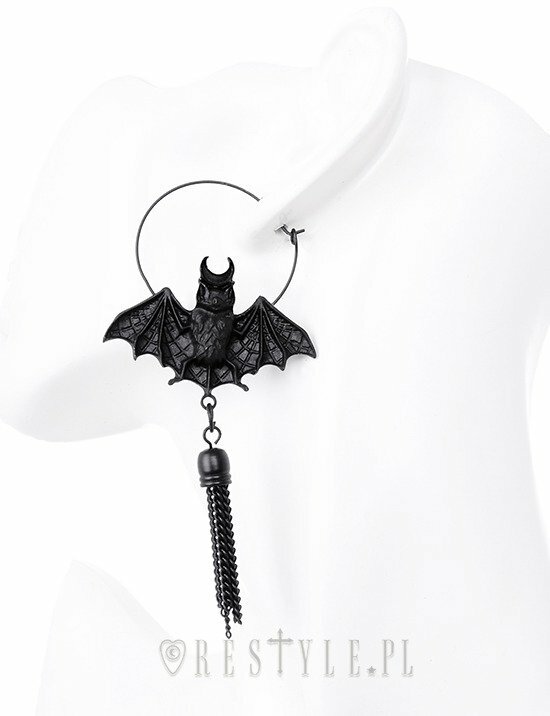 These earring are completely amazing. They are heavy but very fashionable. Just don't drop them they lose the black color if you. I accidentally dropped one of the earring now the tip of the wing is silver. Beautiful set to add to any collection.